There’s been a lot of discussion (and I suspect that there’s probably a lot more to come!) 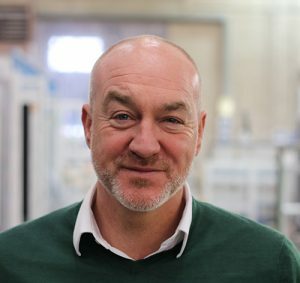 about our decision to offer Residence 9 unglazed – in addition to glass bonded options – which puts us in an almost unique position of being able to supply R9 on a frame-only basis. Our reasons for doing this are pretty simple. R9 is a great system. It’s redefined the way that PVC-U is sold and it has opened up major new areas of opportunity for installers. But anyone who has ever fitted it, knows exactly why being able to buy R9 unglazed is such a massive advantage for installers. First, it takes out weight and simplifies manual handling. Second it makes installation easier – you don’t have to remove glass bonded sashes to fit it. Third, remedial work is simpler. This may be because I’m a Yorkshireman but if your customer’s kids put a cricket ball through a glass bonded window, you don’t have to replace the sash. This can clearly be fraught with problems because a replacement sash will stand out compared to the original and more weathered product in which it’s being installed. The alternative is to try an cut out the glass bonded unit but I assure you based on first-hand experience that it’s far from easy to do. Finally, buying in unglazed frames obviously allows you to buy glass in from your usual supplier and realistically at lower cost. In short it means R9 can be supplied and fitted in the same way as a standard PVC-U window. We have been able to pioneer the development of this offer through Timberweld®. This allows us to replicate the aesthetic delivered in a 90° mechanical joint but deliver a significant increase in the structural strength of the sash, which means the glass bonding of the sash is no longer a requirement in most configurations. We know and we understand the arguments for glass bonding – we still offer R9 glass bonded for those customer who want it. But we see an opportunity. Our customers who are choosing to buy-in R9 unglazed are winning business on the back of it, because it makes installation simpler and it allows them to be more competitive. Testing, which has been delivered in partnership with the Residence Collection has vindicated our decision to go down this route. Completing BS6375 – 1 in March, our non-glass bonded window achieved an Exposure Category rating of 1600, a 9A Class rating on water-tightness, a Class 4 wind load rating and Class 3 air-tightness rating giving it comfortable passes across the board. This joint testing programme will continue in coming weeks. Meanwhile, our frame-only product is fully guaranteed. On a point of clarity, it is always and without exception, been the manufacturer who guarantees the performance of the product. Our product glass bonded or not has never been underwritten by the Residence Collection – something which is the same for every R9 fabricator. This is a real opportunity for installers, for us but also the Residence Collection. Technology moves fast in this industry. Possibilities that weren’t there only a few years ago are now setting new standards in manufacture and there is clear potential for all to increase market share. We’re not saying that there isn’t a place for glass bonding but we are saying that there is an alternative and we’re giving installers the opportunity to choose.